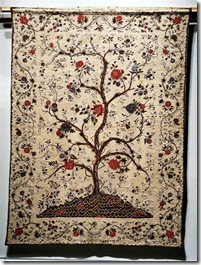 The palampore fabric was painted in India and later made into a quilt. 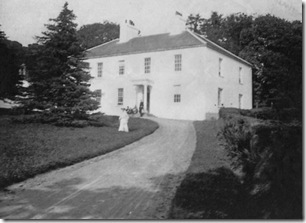 It comes from the Court Estate, Llanllawer in the Gwaun Valley, Pembrokeshire. It was wadded and quilted in 1810. It is an exceptionally large quilt, 322cmx 225cm, filled with lambswool. 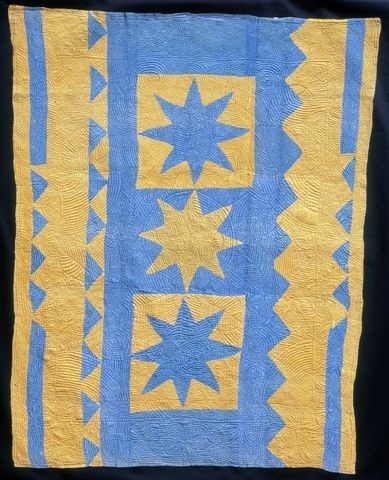 This cotton fabric was made and painted on the Coromandel Coast prior to 1800. 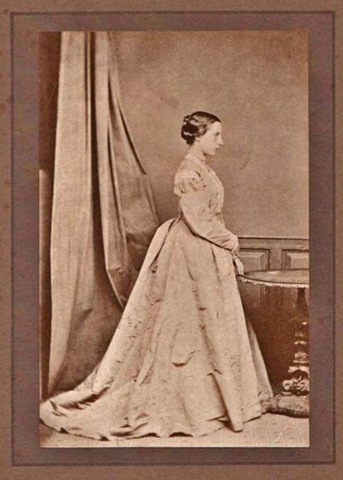 It was sold to Jen Jones by Liz White, daughter of Mrs Mary Lettice Mortimer Ehlers (nee Thomas) of Bristol. 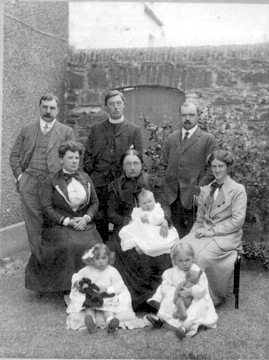 Mrs. Mary Lettice Mortimer Ehlers had wanted the quilt to remain in Wales after her death. It has come to the right home. A wide variety of wonderful Welsh stitching patterns were quilted on the palampore once it arrived in the UK, including hearts which indicate it was possibly worked for a family marriage. The four daughters of the Thomas family were married over a period of ten years and as it has never been used, it is difficult to say for whom it was intended. 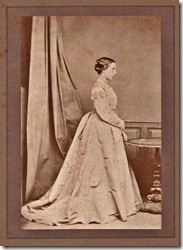 In 1851 it was sent to The Great Exhibition in London. 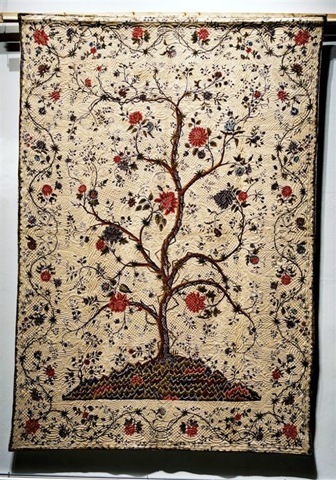 It was last exhibited in London in the 1990's, prior to being on exhibit in Wales at the Jen Jones Welsh Quilt Centre in 2010. Here you can view the exhibit. Watch for the palampore on a far wall! 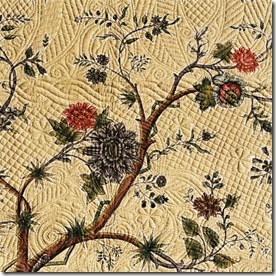 The Jen Jones Welsh Quilts Centre graciously sent me the following info and pictures to share on my blog. I do apologize for the delay in getting them posted. This quilt unfortunately is not on display at this time, but other quilts are in their summer exhibit, "Oh that Summer would Last Forever," showing from now to October in Wales. A stunning exhibition catalogue is available for purchase. Jen Jones sells quilts, shawls, paisleys, blankets, books and more at her shop and on line, check it out! Your comments, questions and answers are welcome! It may take a little while for them to show on my blog - I like to see them first. Thanks for sharing. The creative process flows through each of us. The challenge is to get out of the way and let it express our soul. I am a communicator through my voice, pen & art. 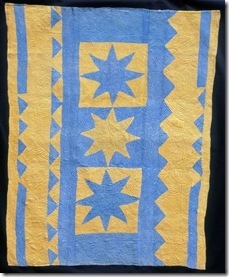 As a psychologist and quilt historian, my passion is to explore minds and spirit. 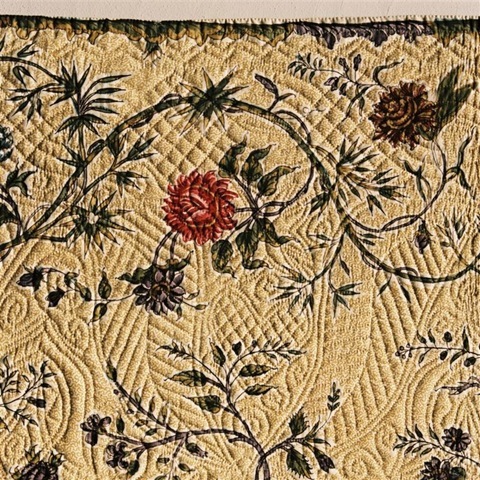 Researching women's history through textiles and understand the deeper meaning of quilts as historical and emotional documents, provides insight into another layer of the creative process. 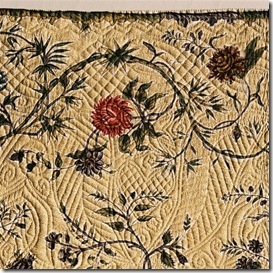 "Threading Your Research Needle" my how-to do quilt/textile history research - E-book, 23 pgs. Recently Added & Updated- Bill Volkening, Meg Cox, Karen Alexander, Rose Marie (Rosie) Werner, Anne Copeland, Judy Breneman, Bunnie Jordan, Susan Wildemuth and updated interviews from Hazel Carter, Mary Elizabeth Johnson, Mary Bywater Cross and Lynne Zacek Bassett. A gift to you- 53 page eBook of 16 historical fiction stories involving quilts, & photos. They were written by women for women in honor of Women's History Month. Share it with your friends, post it on your blog, click download at no charge now!